Being diagnosed with Osteoporosis can be unsettling. It’s disconcerting to discover that your bones are not what they used to be, that they’ve let you down and it could hold consequences for the future. How do you care for a condition that you cannot see, and cannot really feel? There is the sudden concern that you may not be able to do the things that you have enjoyed before: dancing, cycling, walking – or even getting up the steps to your front door. Even those who in recent years have been motivated to run only when a ten rand note blew out of their purse are forced to contemplate that mysterious connection between exercise and bones. First things first: exercise is good for Osteoporosis. Obviously, it’s best to get enough of it beforehand as a preventative measure – however, after the diagnosis it becomes a very important factor in improving mobility and strength and helping to prevent further decline of the bones. Exercise can’t reverse the condition but it is extremely helpful in many ways. The key is the right exercise. This is not the time to attempt Mount Everest or a steeplechase on a 3-year-old horse. No, this is the time to evaluate, educate, and gently activate. Osteoporosis is characterised by reduced bone mineral density, which results in a fragile skeletal structure and an increased risk for bone fractures. The positive uses of exercise should be tempered by what will optimise bone health and what may cause further harm. Luckily, there are many different exercises that you will still be able to engage in and enjoy. Osteoporosis does not mean you have to live a sedentary life without action. However, there are certain exercises that should preferably be avoided. These activities can cause compression in your spine and lower extremities and can lead to fractures in weakened bones. Running means you are hitting the ground with impact and this can jar through weakened bones causing damage. Likewise, jumping – although this is not a likely exercise you would choose if you have been diagnosed with Osteoporosis, except perhaps if you saw a spider. Aerobics, that include a considerable amount of jumping, would not be a wise choice at this juncture, seeing as there are many, gentler aerobic exercises that you can engage in. Although this may seem perfectly safe for a healthy person, if you have been diagnosed with Osteoporosis, it’s an exercise that rather should be avoided. The excessive bending increases the pressure in the lumbar discs, which can lead to a fracture. An alternative and safer route is the standing hamstring stretch, in which you maintain a flat back. To perform this stretch, place one foot on a 6 to 8-inch step while keeping your other leg firmly planted on the floor. Gently bend at the waist without rounding the back until you feel a light stretch on the back of your thigh. You can then repeat the movement with the other leg. This lower back exercise can increase pressure in the cervical discs of the neck. A safer way to stretch the lower back is to lie on the floor and bring both knees to the chest. However, with this exercise, you must still proceed with caution. Avoid jerky movements or excessive bending of the spine. Always strive for slow and controlled movements. This is a standard abdominal exercise to strengthen and flatten the tummy muscles. However, Osteoporosis sufferers should avoid this exercise because it puts tremendous pressure on the lower back and can result in fractures of the lower spine. Simple tummy crunches while standing or sitting can achieve the same effect without the dramatic movement of a sit-up. Any exercises that require bending forward from the waist or excessive twisting, such as golf, tennis or bowling should be avoided. These movements can compress the spine and therefore increase the risk of fracture. All activities undertaken when you know you have Osteoporosis should include slow, controlled movements with minimal impact. Weight-bearing exercises are possibly the most valuable exercises you can engage in for both muscles and bones. Strengthening the muscles helps to hold the skeletal structure together. This kind of exercise includes weight training and resistance training. It is important to strengthen all the muscle groups, especially those of the spine. Core strength improves your balance and posture – both of which are important for avoiding falls. Resistance training is particularly helpful for maintaining bone density. Exercises such as cycling and swimming are not weight-bearing but can offer resistance training to muscles in the arms and legs. Do not twist the spine during exercising. Tailor the exercises to your abilities and tolerance. Preferably work with a personal trainer who understands your condition and the right exercises – it’s crucial that the exercises do not bring about further injury. Putting weight on the bones simply by walking, dancing, climbing stairs or low-impact aerobics are just as important as weight-lifting. When you are thus engaged, your bones are working to support your weight – and when they work with balanced stress, they improve their strength by slowing the loss of minerals. These easy daily activities can provide cardiovascular benefits, boosting the heart and circulatory system. Activities that emphasize weight-bearing are continually helping to improve your strength, flexibility and balance. 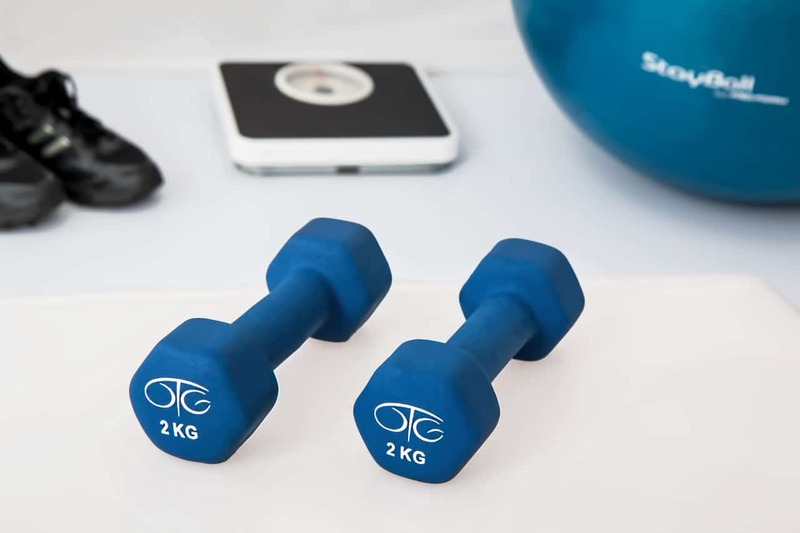 In the beginning, if you haven’t engaged in as much exercise as you should have before your diagnosis, you may find yourself suffering stiffness and muscular discomfort. But slowly, as you build up activity to move your bones through their full range of motion, you will experience more flexibility, become more limber, and feel more energetic. Warm up your muscles and gently, slowly stretch without bouncing. Avoid stretches where you bend at the waist – especially from side to side – these are not good for Osteoporosis sufferers. The key danger of Osteoporosis is a fall. Invariably, if the bones have weakened they are more likely to break than if you are a healthy-boned person. Stability and balance are therefore vital, and exercises that work to keep your muscles toned and strong will keep you more stable and less likely to fall. Tai Chi is a great way to enjoy exercising while moving the body in carefully planned gentle movements that ease you into more fluid movements and gradually strengthen the muscles. Simple balancing techniques such as standing on one leg for as long as possible are also helpful in improving balance. Remember, your bones have given you the best support all your life, and now might be the time that you have to look after them. Love your bones! And respect their lifelong service. NOFSA is the only nonprofit, voluntary health organisation dedicated to promoting lifelong bone health. We focus on reducing the widespread prevalence of Osteoporosis while working to find a cure for the disease, and by supporting research and developing programmes of education and advocacy.